ACA Connect — Your Online Community! 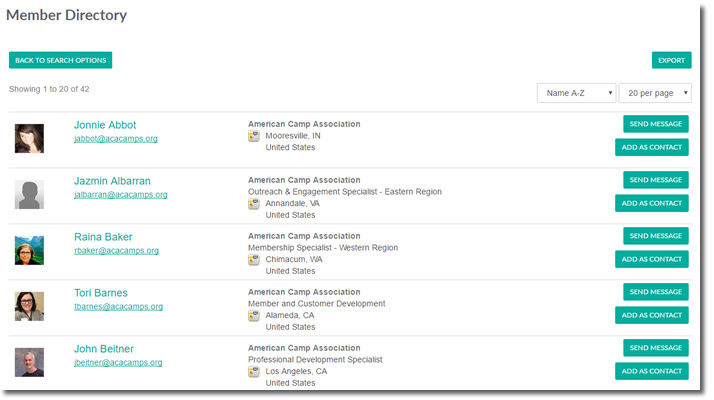 ACA Connect lets you engage with camp professionals. Networking. Connect with other camp professionals on a variety of discussion topics. Personal profiles make it easy for you to find other people — and for others to find you. Information and Document Sharing. Ask questions. Join conversations or start new ones. Share ideas, documents, links, and other resources. Engagement. Identify volunteer opportunities. Work on professional development. Get the latest news and information on in-person events in your area. Network, Share. Engage at the local level. This is your chance to share information about local events or trainings and discuss public policy or other topics that affect your local region. The Best of Both Worlds. 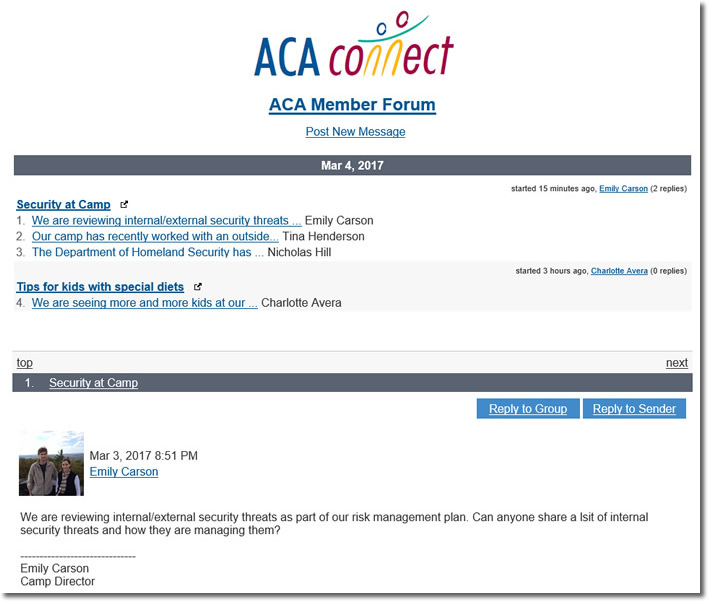 ACA Open Member Forum lets camp professionals engage in conversations that affect us all. ACA Connect local communities allow you to stay connected to information and resources in your local area. Learn how to manage your community discussion emails. A great benefit of ACA Connect is the searchable member directory, available for both the Open Member Forum, as well as for your local office community. Connect with friends, colleagues, and fellow members you meet at ACA events. In addition to engaging in discussion, members can also share documents, links, and other resources. Thanks to our ACA Connect partner, Rocky Mountain Sunscreen.